Welcome to the St. Charles Parish Sales Tax Office! 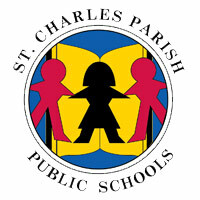 The mission of the sales and use tax department is to fairly and equitably administer the sales and use tax regulations as adopted by ordinance by the St. Charles Parish Council and the St. Charles Parish School Board. The department is committed to providing all needed resources and support to businesses whose duty it is to collect sales and use tax on behalf of the parish governing authorities. The department is further committed to collect all taxes due in order to maintain financial support for local government services and programs. Hosting a Special Event or Craft Fair in St. Charles Parish? Click Here! The office will be closed from Thursday, April 18, 2019 – Monday, April 22, 2019 for the Easter Holidays. If you are looking for our office hours, what steps to take to obtain an occupational license, or if you want to apply for a refund. This is the quickest way to get that information. Click the link below to get the answers.